Since 2008, we’ve been helping businesses streamline their billing. While online payments options have mushroomed, many small businesses have avoided it due to a complicated setup process and steep pricing. We are big believers in helping you get paid faster through online payments. 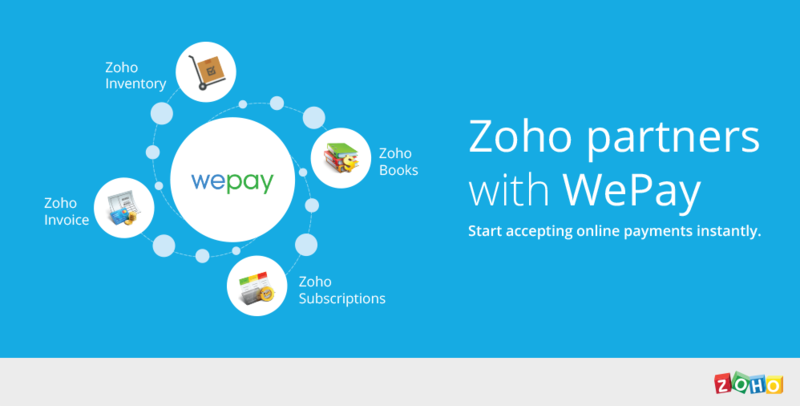 As a first step towards this, Zoho has partnered with WePay, an online payment processor. Creating your merchant account with WePay is like registering for a new email account – absolutely effortless.